SALEM, OR -- The first ever nationwide test of the Wireless Emergency Alert System that includes cell phones will occur Thursday, September 20. The alert is coordinated by FEMA and will broadcast on radio, TV and cell phones. 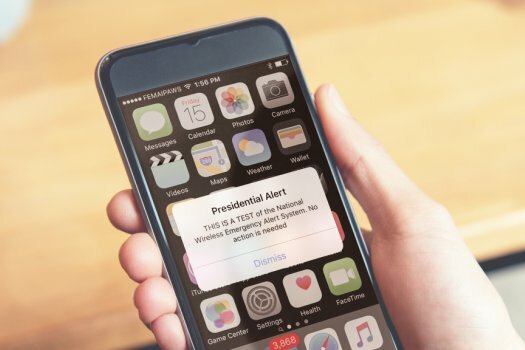 Paula Negele, with Oregon's Office of Emergency Management, says they don't want people to be surprised by the alert, "This test is happening, that people’s cell phones – for the most part – will go off, and to be prepared for it; to realize that no action is required." She says it's supposed to override any phone settings and, as long as it's powered up, the alert should come through, "It will, even if you know about it, will come as a surprise, because of the loud warning alert sound. And so, we really want people to be aware that this is happening, that no action is required, it’s only a test." If a cell phone doesn't receive the test alert, it could be because the cellular carrier is not part of the Emergency Alert System, which is designed to get information out in the event of an emergency or disaster.